Elephant and Castle in south-east London is normally considered more of a concrete jungle than an urban forest. But among the drab buildings, stairs and walkways of the soon to be demolished Heygate Estate, there stands 410 mature trees that a group of local people say are worth £15m. And as Elephant and Castle undergoes a £1.5bn regeneration, the group are fighting to save the trees they fear will be removed. With rows of empty flats that most residents left two years ago, the giant trees are among the only signs of life on the estate which once housed 3,000 people. 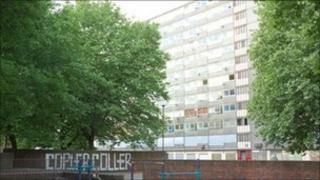 The trees were valued at £700,000 by Southwark council in its original documents about the regeneration. But the residents' group spent weeks measuring and valuing all of the mature trees, which were planted when the estate was built in the 1970s, and found that they had a much higher value. They used the Capital Asset Value for Amenity Trees (CAVAT) system which is used by the London Tree Officers Association to calculate a value for each square centimetre of tree stem. And the Forestry Commission has agreed the £15m valuation is feasible. One of the group, Guy Mannes-Abbott, said the council had undervalued the trees, both for their financial value and for what they bring to the community in the bustling area close to London Bridge. He said existing residents felt the council had not involved them enough in plans for what is supposed to be a community-wide regeneration. "It is about being engaged in the process," he said. "The main thing is to involve the existing community." The importance of trees in an urban environment has been studied by Dr Roland Ennos of Manchester University's life sciences faculty. "Trees are important for a wide range of reasons, from providing cooling and shade to absorbing pollution particles and reducing wind," he said. "There is also a positive psychological effect. It helps to calm people down and improves mental well-being." The Forestry Commission's Jim Smith said developers needed to consider trees before designing new structures, instead of planting new ones after a building is finished. He said research in New York City showed that for every dollar invested in trees, five dollars were saved on expenses such as air conditioning. Southwark councillor Fiona Colley said: "The reason why there is currently such a difference in value is that the council's tree specialist and local activists have made different assumptions about the life expectancy and condition of the trees. "Some trees are unsafe, these trees have been located in a tough urban environment and not surprisingly some have suffered vandalism and damage. "Regardless of any notional monetary values, all future plans for the Heygate will of course include planning for trees and green space, and the council and it's development partner have always stated that the intention is to retain as many original trees as is practically possible ." The Green Party has given its support to the residents. "It is a wonderful urban forest, dominated by clusters and avenues of mainly London Plane tree," said London Assembly Green Party member Darren Johnson. "The developers and Southwark Council have a real opportunity in the re-developed estate to re-create this unique character, and to help maintain the shading and cooling that mature broad leaf trees bring." Better times for Elephant & Castle?